Sat., Nov. 5, 2016, 11:30 p.m.
At the start of a daylong retreat Friday, members of the Northwest Seaport Alliance talked about the entity’s accomplishments in its first year. For Port of Seattle Commissioner Fred Felleman, persuading the Seattle City Council to defeat the proposed vacation of a south downtown Seattle road for a new sports arena was a highlight. The road in question is Occidental Avenue South. If an arena were built there, Port of Seattle officials have said added traffic would delay truckers trying to deliver goods through the Emerald City to points beyond. From Safeco Field, home of the Mariners, the two-lane road heads south, straight as an arrow through an industrial and warehouse district. 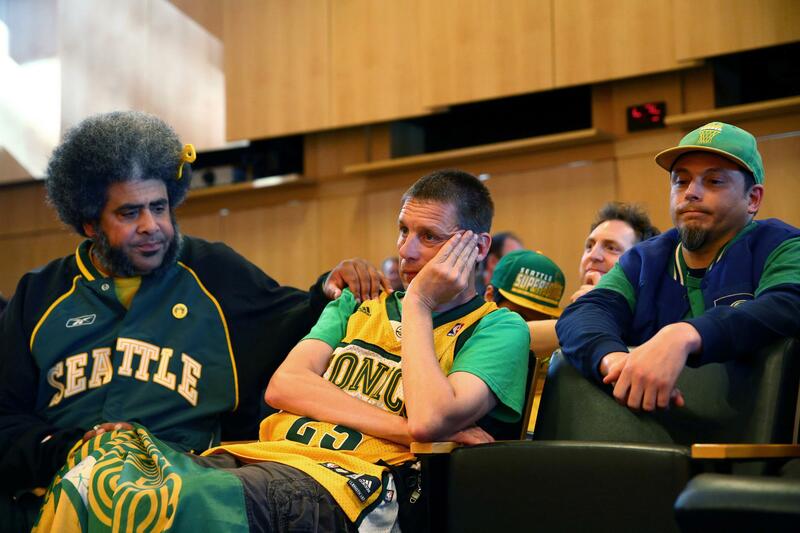 It is there that hedge fund manager Chris Hansen has proposed to build an arena for professional basketball and hockey in hopes of returning the Sonics to Seattle. Since 2012, Hansen’s investment group has bought properties in hopes of cobbling together enough land for an arena and a parking garage, according to The Seattle Times. But first the city has to release its ownership of Occidental. The Seattle City Council voted 5-4 against the street vacation in May, but that was when Hansen and his investors sought up to $200 million public investment for the Sodo arena project. Last week, a Los Angeles-based group made overtures to the Seattle mayor to renovate the aging city-owned KeyArena for professional basketball and hockey, according to The Seattle Times. Meanwhile, Hansen’s investment group wants to renew its request to vacate Occidental and seek all-private financing instead. Seaport alliance members talked Friday about the rapidly changing arena landscape in between discussions on alliance bylaws, alliance transition plan and meeting schedules. “We’re enthusiastic about bringing the Sonics back to town,” said alliance co-chairman John Creighton, who also is the president of the Port of Seattle commission – but not if the arena is in Sodo. “We need to make sure the gateway for the entire state remains efficient so that farmers and exporters can get their goods to the market efficiently across the Pacific to Asia and elsewhere,” he said during a break in the retreat. At one point during Friday’s alliance meeting, frustrated with a lengthy debate on tweaks to the alliance’s bylaws, Port of Seattle Commissioner Courtney Gregoire noted that “if we continue to govern to boogeymen” the alliance won’t have time to react to real threats. Port of Tacoma Commissioner Clare Petrich testified to the Seattle council in May that before the alliance was formed, anything that hobbled the Port of Seattle’s ability to do business would have been cheered as a victory for Tacoma. Not any longer, she said Friday from a windowless conference room in the Crowne Plaza Hotel on International Boulevard. “There are more jobs coming to the alliance – and more jobs coming to the alliance through the north harbor benefits the bottom line for the Port of Tacoma and the Port of Seattle,” Petrich said during a meeting break. The seaport alliance formed a little over a year ago when the commissioners of the ports of Tacoma and Seattle decided to work together to bring more maritime business to Puget Sound and thus better compete against other West Coast ports. In years past, each port had poached business from the other. Several of the 10 alliance members – five commissioners from each port – said at the retreat that they saw collective victories they might not have realized had each port continued on its separate and competitive agenda. Published: Nov. 5, 2016, 11:30 p.m.